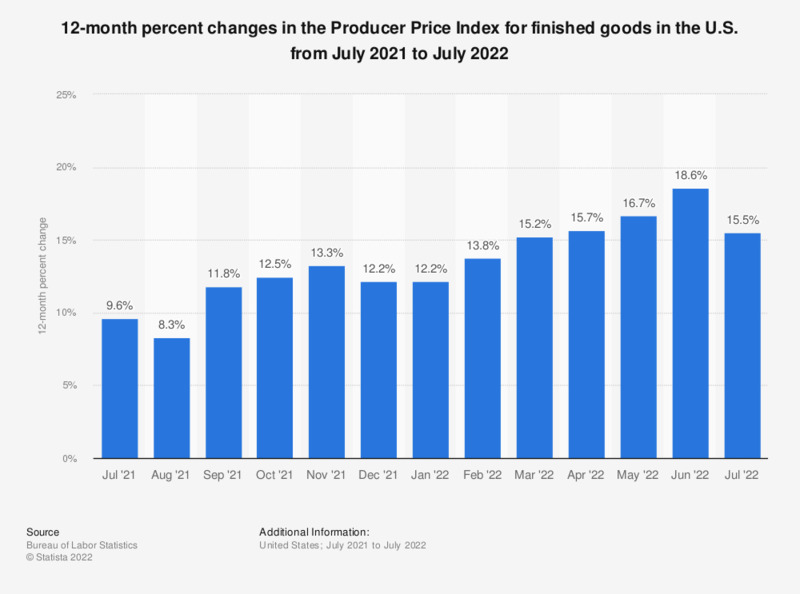 This statistic shows 12-month percent changes in the Producer Price Index for finished goods in the United States of America. Finished goods are commodities that will not undergo further processing and are ready for sale to the final-demand user, either an individual consumer or business firm. The Producer Price Index (PPI) program measures the average change over time in the selling prices received by domestic producers for their output. The prices included in the PPI are from the first commercial transaction for many products and some services. In March 2019, the PPI for finished goods increased by 1.4 percent compared to last year.